New Price. Some homes blend the right ingredients to create a most desirable living experience. 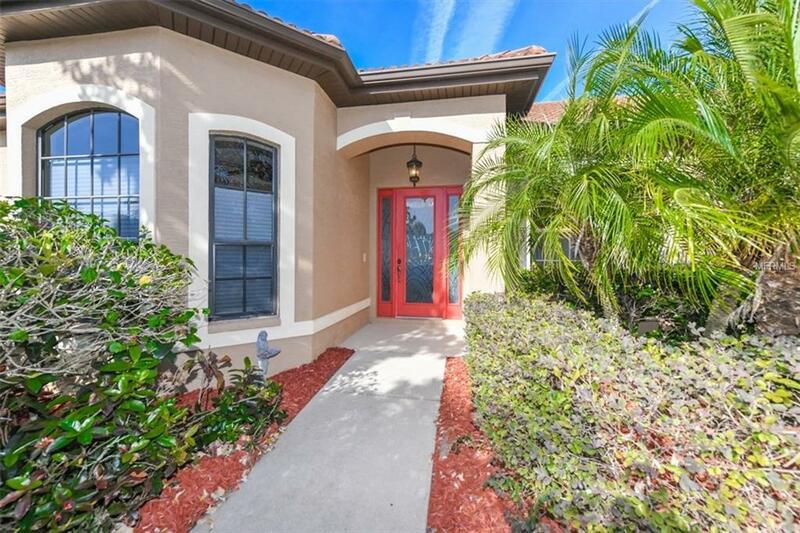 This particular (Former Builders Model) pool home located in the Palmer Glen gated community is a perfect example. The premium lot is graced with an enchanting lakeside view. You will appreciate the most spectacular unobstructed views through the walls of glass, blending interior space to the outdoors, creating flow to to outdoor living area and pool for relaxation and entertaining. Amenities include four over-sized bedrooms, three full baths, spectacular private, premium lot, customized heated pool and spa, outdoor kitchen/bar area, generous proportioned walk-in closets and formal/informal dining inside or out! Convenient location to I-75, shopping, restaurants,downtown Sarasota, beaches and airports.